What does it take to be an Elk? What can I do for the Elks? we have something you could help with! How can the Elks help me? 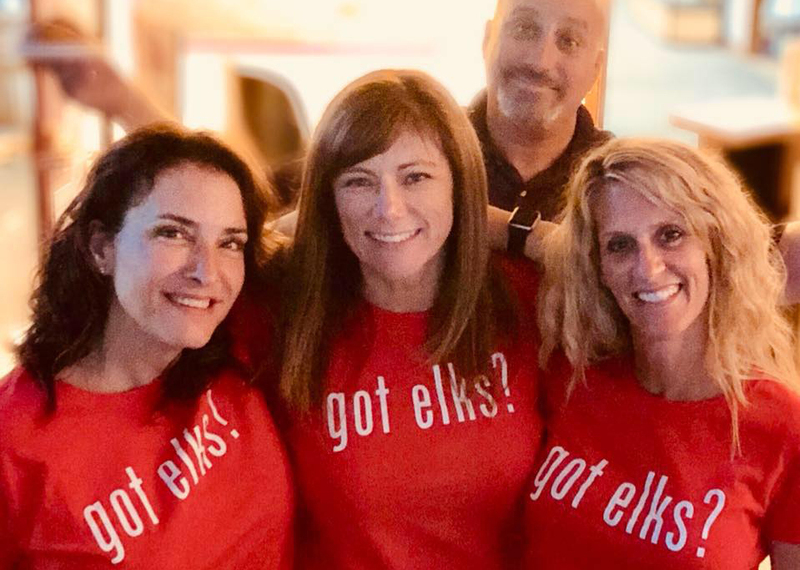 If you know a current Elks member contact them and have them take you by the lodge to experience the social quarters or to an event to experience the fun. If you don’t know a member come by the lodge some time when the Lounge is open and walk in and introduce yourself to the bar staff – let them know your interested in joining. Membership Application Download and Print or pick up a printed copy at the lodge during business hours. It’s as simple as that! Membership forms are available in the lodge. After spending some time meeting the other members in the lounge just fill out the form (with your sponsor and co-sponsors information), pay the nominal initiation fee and you are on your way to joining . The entire process takes at least a month – perfection isn’t quick! You must be sponsored by a member of the Elks Lodge and reside in the jurisdiction of the Lodge you wish to join. You also need two other Elks who will be your co-sponsors. The Elk who proposes you for membership can help guide you through the application process. After your proposer fills in the required portion, you will be given the Application for Membership. Fill it in, following the instructions and answering all questions. Return the completed application to the front office during business hours or to the bartender along with $25 application fee. Your application will be read at a regular Lodge meeting. Once a month a vote is taken on all new applicants that month. When the vote is concluded, you will be notified by our Lodge Secretary with a date to return for indoctrination (initiation). Initiation is the last Sunday of every month. After initiation as an Elk, you can take part in all meetings and social functions of the Lodge. If for any reason your application is rejected, you can submit a new application for membership after six months from the date of rejection.